Black vinegar has many uses in Japan. Culinary uses include preparing those delicious dishes you like to eat. Other uses are in your diet. 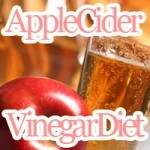 Learn how vinegar can help you lose weight. Black vinegar (kurozu in Japanese) popular in Japan and throughout all of East Asia is useful as both an essential cooking ingredient and as part of a balanced diet. Unlike its counterpart Chinese black vinegar, Japanese black rice vinegar has felt that is was made with forbidden rice and some might say it is the forbidden vinegar. Is drinking vinegar good for you or just an excellent way to lose weight? Drinking black vinegar every day is said to be a great way to get thin. Many studies support that incorporating vinegar in one's diet leads to improved health with emphasis ion weight loss, fat burn and skin care. Weight-loss method is recommended for those who can be expected to affect smooth fatigue and further cosmetic effect and the fluidity of the blood; surely, you want to lose weight healthy. The real power of vinegar is lies in its active ingredients. The secret of an effect is the amino acid and citrate which are mostly contained in black vinegar! 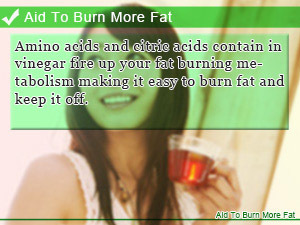 It is a nutrient indispensable to fat combustion, which help you burn fat more efficiently. In this Slism, we will discuss how to get the most out of black vinegar in your diet, the main health benefits of black vinegar you can look forward to, and the necessary precautions you must take when picking up black vinegar for your diet. 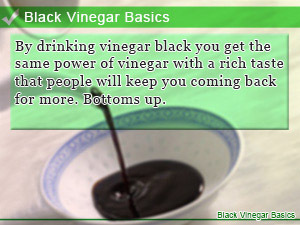 Have a thimbleful of vinegar following each meal drinking per day to get the most out of the black vinegar diet. Black vinegar diet, intake of about 50- 60mL vinegar per day. It is divided into three times may 20ml, also in the habit of drinking after meals. Please note that we may put a strain on the stomach, rather than before meals, I would like to drink after a meal. For those who are not used to the idea of shooting down vinegar glass after glass, it is recommended that you take it with either juice or honey mixing properly. There is no enforced dietary restriction on drinking vinegar. However, you should avoid drinking too much lessening the burden it has on your body, i.e. moderate. If you are not ready-to-drink black vinegar, it is a good idea to drink juice and honey and mix. There is no restriction of diet and calories, black vinegar diet, eating too much are not good. Let's try a well-balanced diet moderate diet. In black vinegar is rich in amino acids and citric acid that your body used in the metabolism to forge many things that benefit your diet making it possible to lose weight faster. To amino acids, there is a function to make it easier to burn fat and serve to inhibit the absorption of fat. Therefore, by movement taken in combination, you can increase the fat burning effect due to exercise. Amino acid content of vinegar is beyond compare with other vinegar. This also shows that the diet is suitable among black vinegar. To amino acids, there is such an effect of increasing the resistance to fatigue and stress effects and skin effect, the citric acid to further smooth the blood. 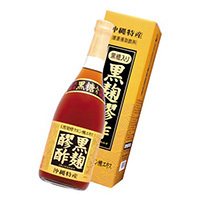 Such as black vinegar drink blended with black vinegar is often sold. Even people who do not like, black vinegar can be taken in the sense of the juice is good. Is Drinking Vinegar Bad For You? Have you ever remembered feeling as it is to drink vinegar, stomach such that hot? Why does drinking vinegar feel like your stomach is on fire? Because the strong acidic vinegar, sometimes they put a strain on the stomach. In particular, if you do not drink to dilute the vinegar, you'll drink to avoid fasting. Faint of stomach, it is recommended that you drink after a meal. Some people are drinking as "effect would weaken and dilute the vinegar," and does not affect black vinegar to drink to dilute the effect. Nor do I have to drink a lot of effect is enhanced. It is important not to put strain on the stomach, followed by daily drink an appropriate amount. Everything taken in excess is bad for your body. Drinking too much water is what is known as drowning. Don't miss out on black vinegar just because there is a small chance that it will have a negative effect on your body. Moderate and you never know how well it might grow on you. Having trouble burning off fat in those hard to reach places with conventional exercise alone? There’s no helping it. What people really need is an extra boost to aid in healthy fat burning. That’s where the Tomato Diet is said to kick in. Learn how DNA activation is changing the diet scene as we speak. By drinking vinegar black you get the same power of vinegar with a rich taste that people will keep you coming back for more. Bottoms up. Amino acids and citric acids contain in vinegar fire up your fat burning metabolism making it easy to burn fat and keep it off. I don't have to tell you that vinegar helps improve your skins condition, but I just have to say that black vinegar gives you great skin.